In the presidential election on 16–18 December, President James Michel was officially re-elected, beating his closest rival by a mere 193 votes – a razor sharp margin even in a country with a population of just 90,000 people. The opposition, led by Wavel Ramkalawan, immediately called for a review, intimating that there had been vote rigging and irregularities. Seychelles, has finally broken its silence about ditching its interest in a non-permanent member seat in the United Nations Security Council (UNSC) during 2017-2018. 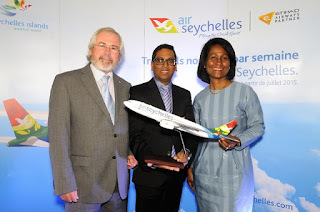 The withdrawal information on Seychelles’ bid was made public on Wednesday January 13, 2016 by the country’s Principal Secretary for Foreign Affairs Maurice Loustau-Lalanne. The Seychelles official confirmed to the Seychelles News Agency (SNA), “The official announcement of Seychelles’ withdrawing in favour of Ethiopia will be done at the next African Union summit for heads of state,” which would convene at the end of this month in Addis Abeba. Ophir Energy has chosen to exit a farm-out agreement of a number of blocks in the Seychelles. 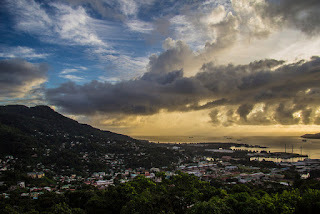 According to Australian energy company WHL Energy, the move will see blocks 5B/1, 5B2 and 5B3 reverted back to the Seychelles Government. PetroSeychelles has formally notified PQI that the petroleum agreement which was struck in 2014 has now been terminated. WHL Energy said it is currently in discussions with the Seychelles government to continue its participation in the blocks and will update the market in due course following these discussions.